Of the approximately 300 different types of temperature measuring thermocouples that have been identified and studied, only a few types, having the more favorable characteristics, are in general use. There are eight types of thermocouples that have been standardized, because they are the ones most commonly used industrially. In the United States each type is identified by a letter. This practice was originated by the Instrument Society of America (ISA) and adopted in 1964 as an American Standard to eliminate the use of proprietary names. The standards of the American National Standards Institute (ANSI-MC96.1, 1982) and the American Society for Testing and Materials (ASTM 230-87) utilize the reference tables from National Institute of Standards and Technology Monograph 125 as the basis for standardization. As noted in the ANSI and ASTM standards, the letter designations actually identify the tables and may be applied to any thermocouple that has a temperature-emf relationship agreeing within the tolerances specified in the standards with that of the table, regardless of the composition of the thermocouple. Substantial variations in composition for a given letter type do occur, particularly for types J, K, and E.
* temperature range as per NIST Table I: Thermocouple Types Definitions. Certain combinations of alloys, such as Type J and K, have become popular as industry standards. Thermocouple type selection is driven by cost, availability, melting point, chemical properties, stability, and output. 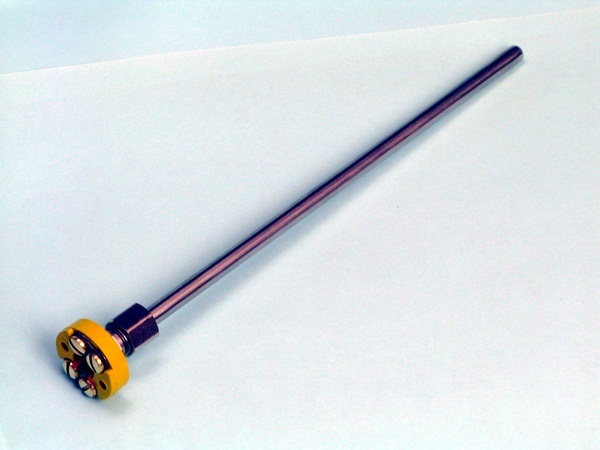 Different type thermocouples are best suited for different uses/applications. 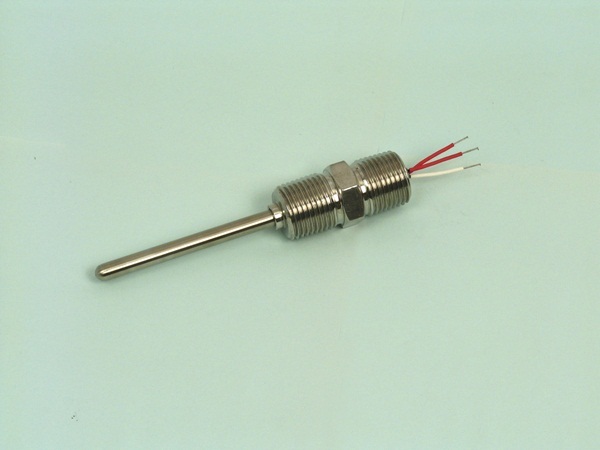 Thermocouple types are usually selected on the basis of the temperature range and accuracy needed. 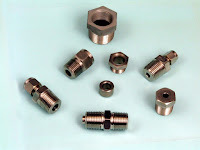 Other selection criteria include the chemical inertness of the thermocouple material and whether it is magnetic or not. 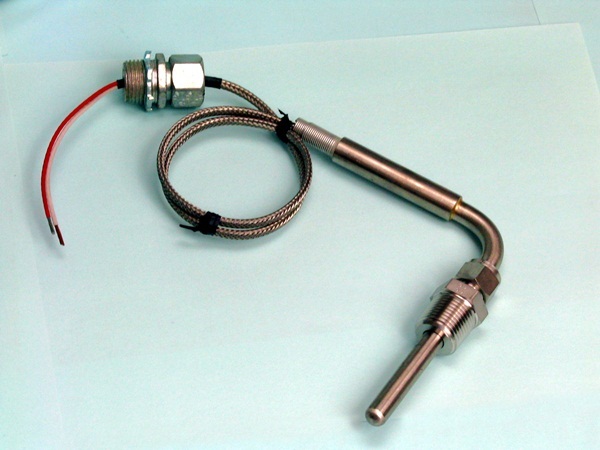 For more information about thermocouples, contact Duro-Sense by calling 310-533-6877 or visiting https://duro-sense.com. and sheath material are all variable. It would be difficult to chart a career course in the industrial process control field without being exposed to thermocouples. They are the ubiquitous basic temperature measuring tools with which all process engineers and operators should be familiar. 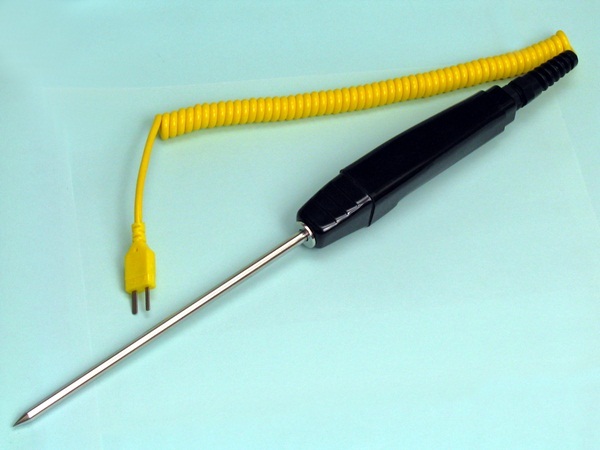 Knowing how thermocouples work, how to test them, is essential. Sooner or later, though, you may be in charge of selecting a thermocouple for a new application. With no existing part in place for you to copy, what are the selection criteria you should consider for your process? Thermocouple sensor assemblies are available with almost countless feature combinations that empower vendors to provide a product for every application, but make specifying a complete unit for your application quite a task. Let's wade through some of the options available and see what kind of impact each may have on temperature measurement performance. 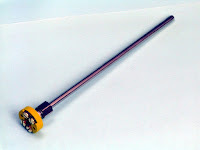 Thermocouple Type: Thermocouples are created using two dissimilar metals. Various metal combinations produce differing temperature ranges and accuracy. Types have standard metal combinations and are designated with capital letters, such as T, J, and K. Generally, avoid selecting a type that exhibits your anticipated measurements near the extremes for the type. Accuracy varies among thermocouple types, so make sure the accuracy of the selected type will be suitable. NIST Traceability: This may be required for your application. 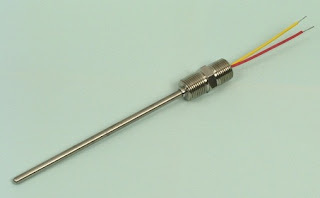 The finished thermocouple assembly is tested and compared to a known standard. The error value between the thermocouple shipped to you and the standard are recorded and certified. The certified sensor assembly will be specially tagged for reference to the standard. Junction Type: If your sensor will be contained within a tube or sheath, the manner in which the actual sensor junction is arranged is important. The junction can be grounded to the sheath, electrically insulated from the sheath (ungrounded), or protruded from the sheath (exposed). If your process environment may subject the sensor assembly to stray voltages (EMF), it may be wise to stay away from a grounded junction, even though it provides fast response to a change in temperature. Exposed junctions provide very quick response, but are subjected to potential damage or corrosion from surrounding elements. The ungrounded junction provides protection within the enclosing sheath, with a slower response time than either of the other two junction types. When using ungrounded junctions, keep the mass and diameter of the sheath as small as might be practical to avoid overdamping the sensor response. Probe Sheath Material: This applies to assemblies installed in a tube or sheath which houses and protects the sensor junction and may provide some means of mounting. Material selections include a variety of stainless steel types, polymers, and metals with coatings of corrosion resistant material to suit many applications. Make sure the sheath material, including any coatings, will withstand the anticipated temperature exposure range. Probe Configuration: Sheath tube diameter and length can be customized, along with provisions for bends in the tube. Remember that as you increase the mass around the junction, or increase the distance of the junction from the point of measurement, the response time will tend to increase. Fittings and Terminations: There are innumerable possibilities for mounting fittings and wiring terminations. Give consideration to ease of access for service. How will the assembly be replaced if it fails? Are vibration, moisture, or other environmental factors a concern? What type of cable or lead wires would be best suited for the application? Your options are so numerous, it is advisable to consult a manufacturer's application engineer for assistance in specifying the right configuration for your application. Their product knowledge and application experience, combined with your understanding of the process requirements, will produce a positive outcome in the selection procedure. Resistance Temperature Detectors (RTD’s) operate under the principle that the electrical resistance of certain metals increases or decreases in a repeatable and predictable manner with a temperature change. RTD’s may have a lower temperature range than some thermocouples and a slower response time, however, they are more stable and repeatable over long periods of time. RTD’s offer considerably higher accuracy and repeatability than thermocouples and can be used up to 600 Deg. Celsius. The RTD wire is usually a pure metal such as platinum, nickel or copper because these metals have a predictable change in resistance as the temperature changes. They are normally designed as a fine wire coiled around a bobbin (made of glass or ceramic), and inserted into a protective sheath. Because they are made of pure metals, they tend to more costly than thermocouples. RTD’s do need to be supplied an excitation voltage from the control circuitry as well. RTD’s higher signal output makes them easier to interface with computers and data loggers and reduces the effects of radio frequency interference. RTD’s are used in many industries including the plastic processing industry, environmental test chambers, motor windings, pumps and bearings, ovens, kilns, waste treatment and the pulp and paper industry. Because of their accuracy and repeatability, they are also commonly used in biomedical applications, aerospace, and semiconductor processing. Here's a short video to learn more about Duro-Sense Corporation. Hope you enjoy.